Bevan Foundation launches "No Place for Poverty" campaign on the 16th October. Shelter Cymru. 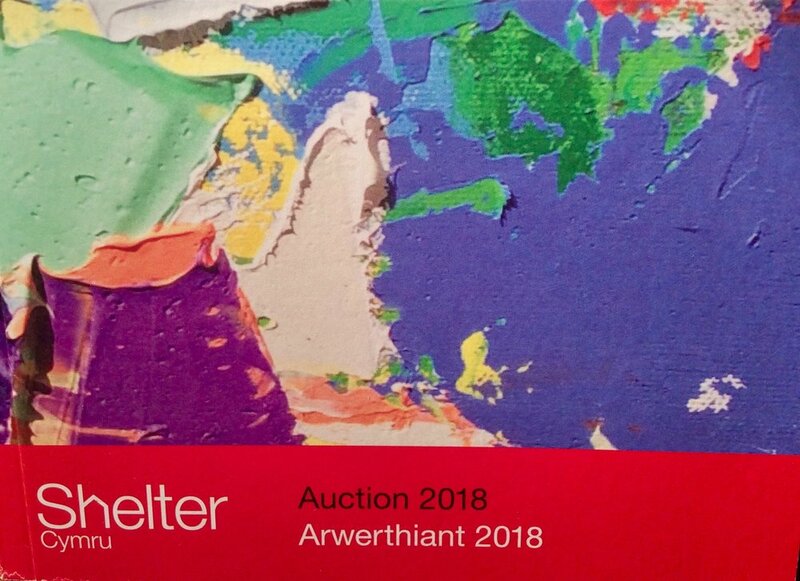 Art Auction 2018. Bids can be placed on the-saleroom. Oil on canvas. `Jazz in the Afternoon`, 30 x 40cms. Framed. Tell Me About It. Oil on Canvas. 28 x 38cms. 'Tell Me About It' features in the North Wales Auction at Theatr Clwyd, Mold, Flintshire on Tuesday 12th September 2017. On the evening of the Auction viewing is from 7pm, the Auction starts at 7.30pm. The collection will be available to view from the 5th September in the Education Gallery. 'Shelf Life' features in Shelter Cymru's 14th Annual Art Auction at Theatr Clwyd, Mold, Flintshire on Friday 23rd September. Viewing from 7pm Auction to start at 7.30pm. You will be able to view the auction pieces in Theatr Clwyd’s gallery from Wednesday 13th September until the day of the auction.